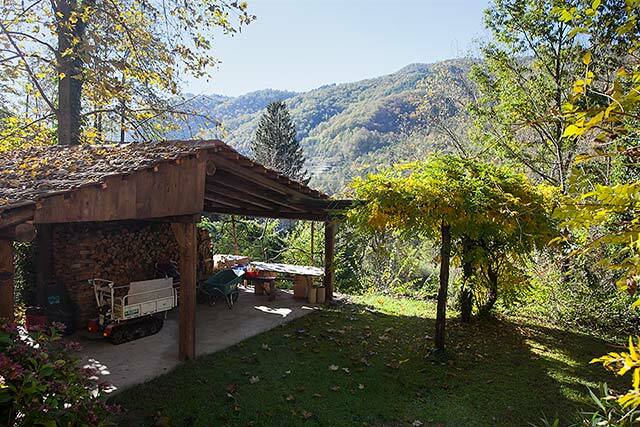 Flexible living space suitable for one or more families and interesting for those who want a charming home with the possibility of an immediate income. 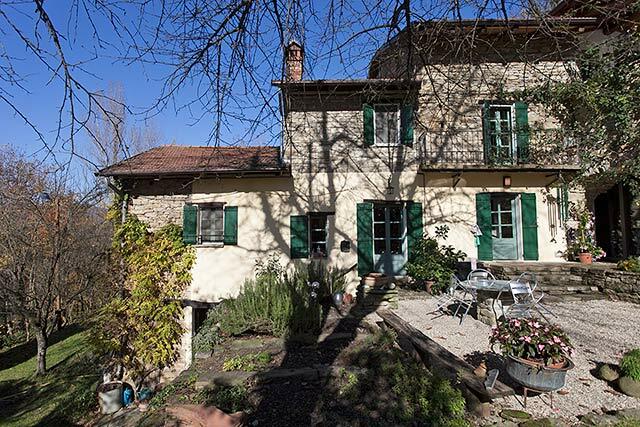 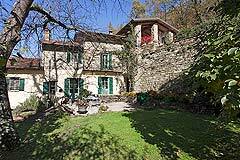 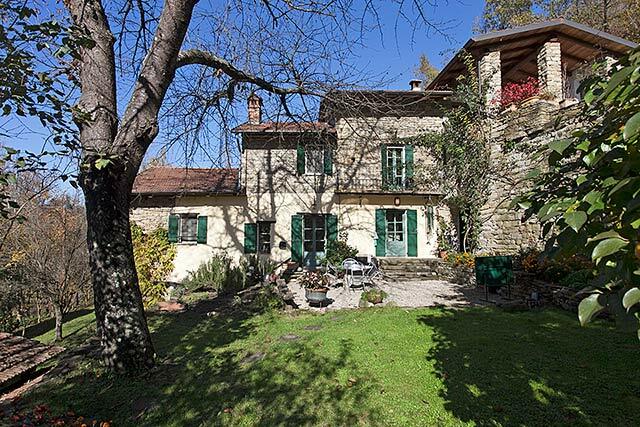 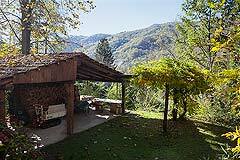 Beautiful Italian Country House for sale in Piedmont. This restored country home is situated in a private and tranquil location yet just a short distance from a charming picturesque town where you find a weekly market, restaurants, pizzeria, wine bar, supermarket and delicatessen to buy fresh ham, cheese, pasta and local produce. 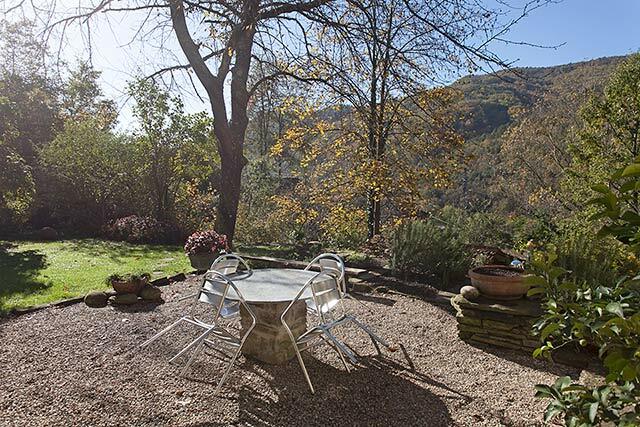 Located in a south facing elevated position it enjoys charming views across the surrounding countryside. The property is approached by a good asphalt road followed by a short gravel driveway. 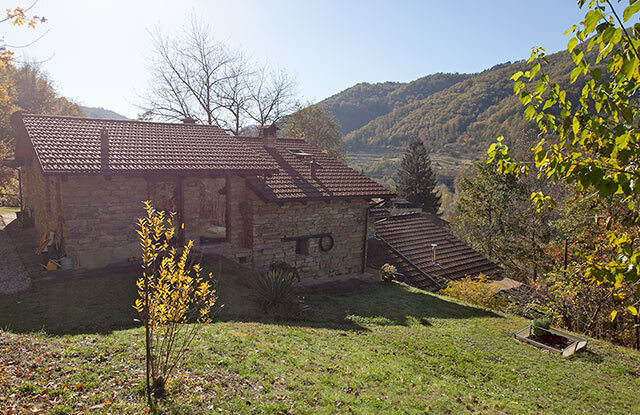 The property is located in the countryside, but not isolated and perfectly located to integrate and enjoy the 'Dolce Vita' of the true Italian lifestyle. 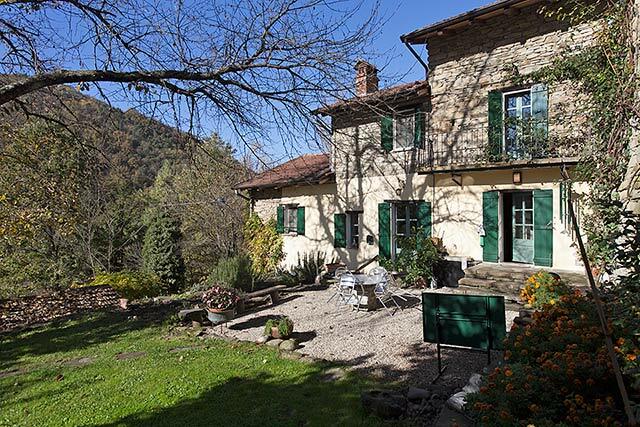 Delightful traditional Langhe stone country property which has been lovingly restored over the years with great attention to detail. 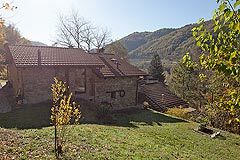 The property provides 2/3 Independent living accommodations providing an interesting possibility for families who wish to invest together having Independent accommodation, or maybe the possibly to rent one part for holiday rental providing an immediate income. 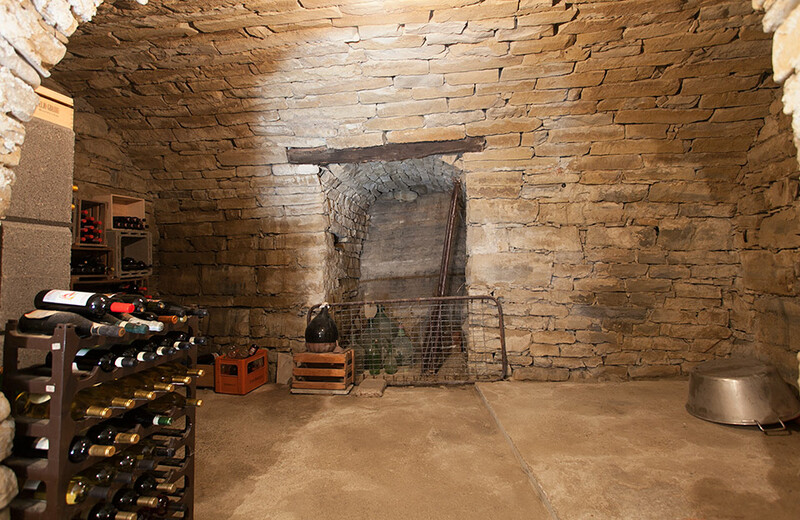 The restoration has carefully preserved the original features of the house, including exposed stone walls, wood beamed ceilings and a stunning wine cantina. All parts of the property enjoy wonderful views of the surrounding countryside. 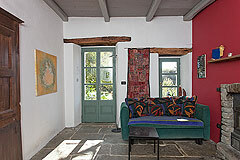 Beautifully restored in a character / contemporary style, spacious and with lots of light. 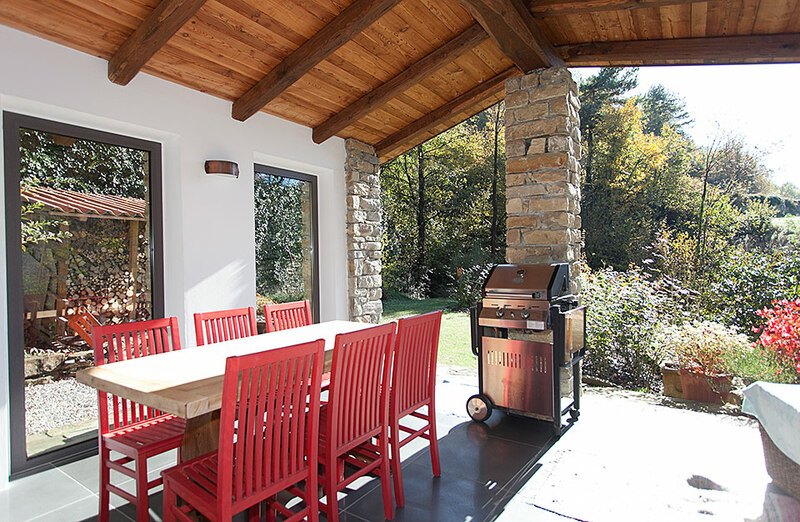 Open plan kitchen / living area, featuring glass French doors which access a large covered terrace area, a perfect outside lounge, for BBQs, alfresco dining or just relaxing in the sun. 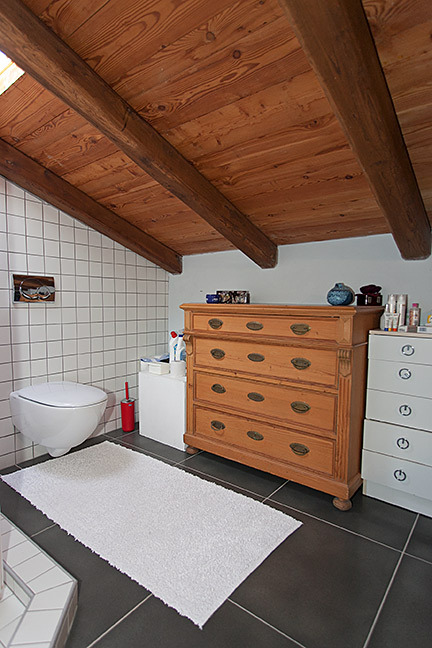 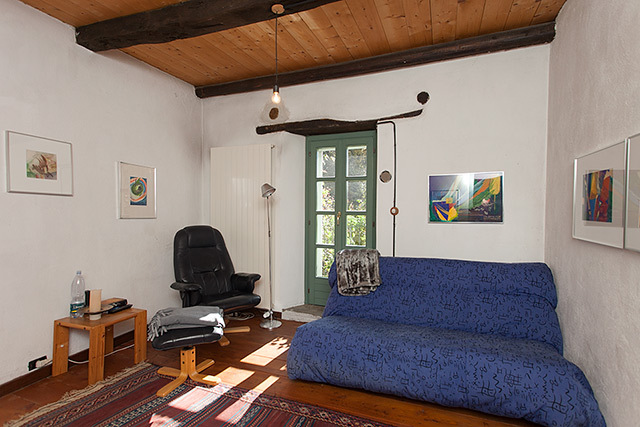 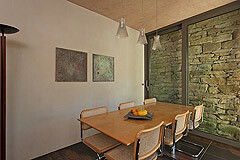 This room has high wooden beamed ceiling and a wood burning stove. This property has dark grey floor tiles throughout. 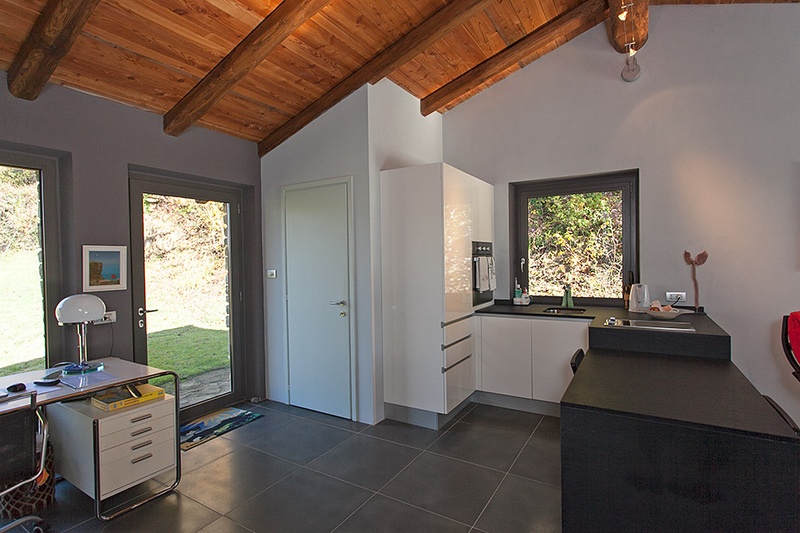 It's a perfect area for friends and family to stay. Bedroom with high exposed beamed ceiling and original cotto floor tiles. 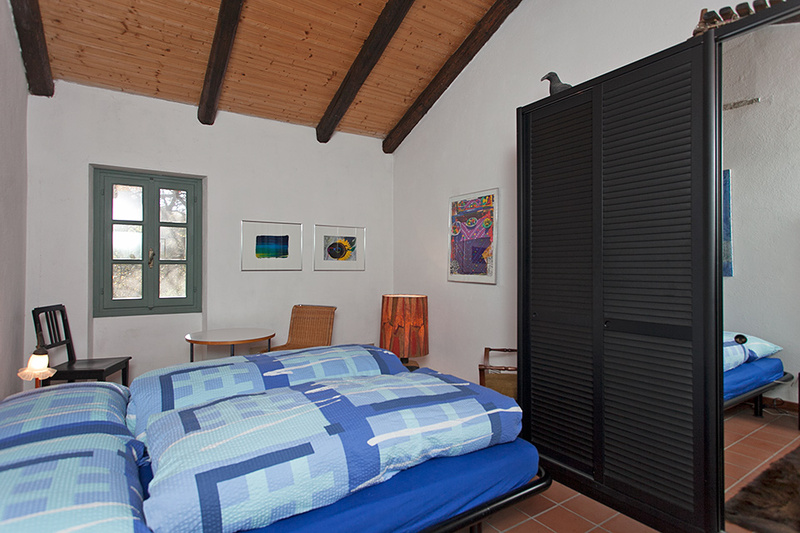 This room has a window overlooking the views to both the front and back of the property . 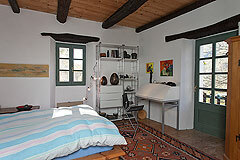 Living room / further bedroom with French doors opening to a small terrace. 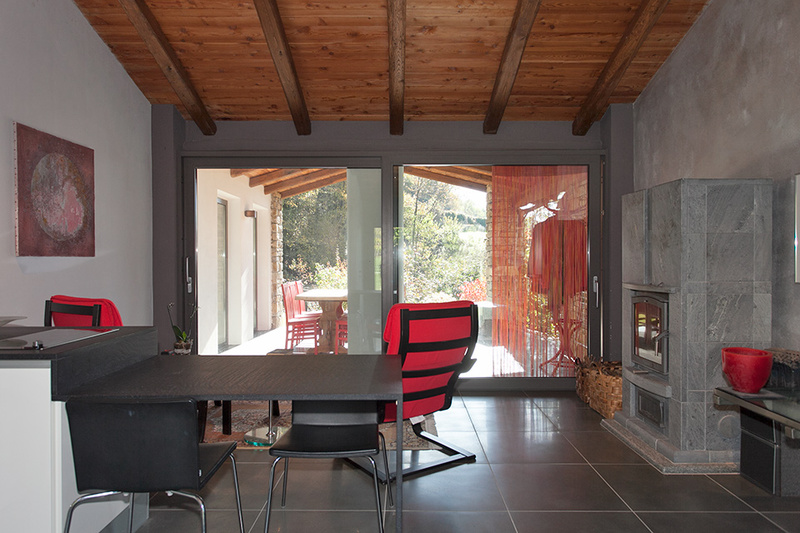 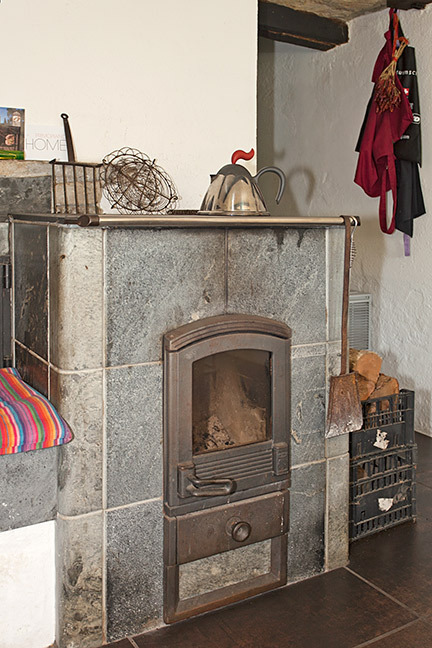 Kitchen - spacious, with wood beamed ceiling, a wood burning stove that can also be used for cooking. Modern/contemporary style quality fitted kitchen. 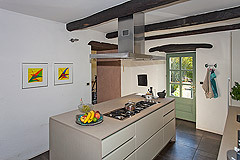 Work Island, perfect for preparation and also entertaining while cooking. 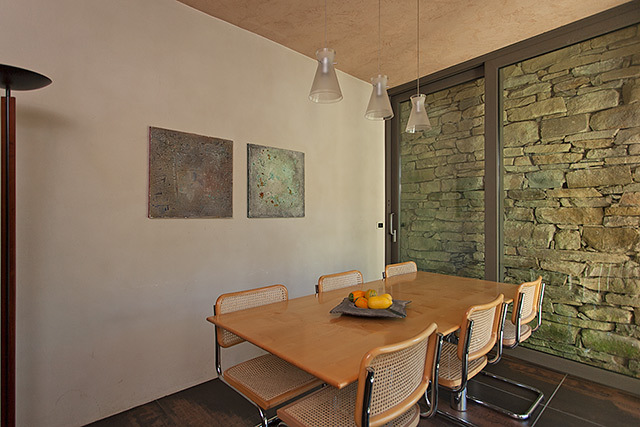 Romantic room perfect for cosy winter dinner parties , all glass and exposed stone .....this room enjoys stunning views over the well kept gardens and surrounding countryside. 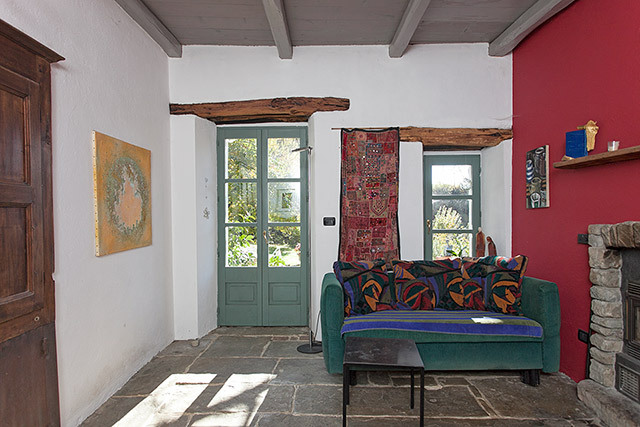 Feature original floor tiles, wooden beams and a closed fireplace creating a perfect ambience in spring and late autumn..
French doors access the garden area. 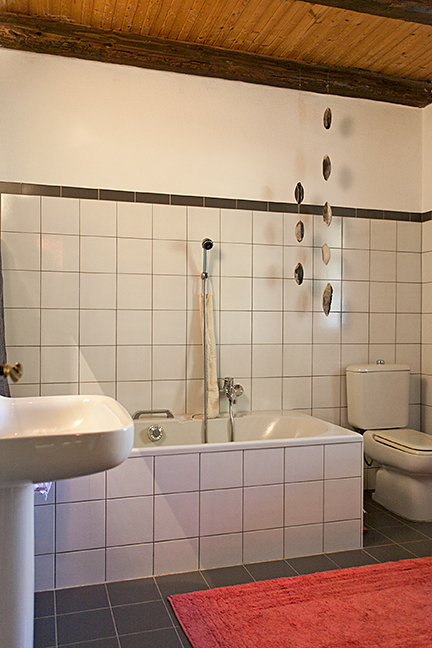 Bathroom - with both bath and shower. 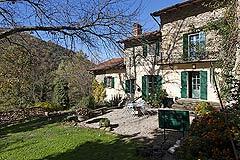 The property is in an elevated position with uninterrupted views of the surrounding countryside. 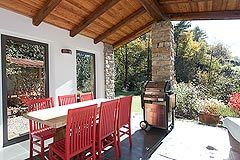 There is a charming courtyard and garden area beautifully maintained with a vast section of established trees and shrubs including lavender, roses, wisteria, kaki, plum, fig, apple and cherry trees. The land surrounding the property is approx. 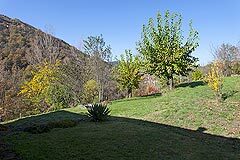 4200sqm with wide terraced areas bordered by Langhe stone walls with areas for a vegetable garden and to develop a swimming pool area if required. Finally a very special room..
Accessed from the garden you find the original wine cantina featuring exposed Langhe stone. A perfect place to store and taste the prestigious wines of the local area.